Who really cares, right? 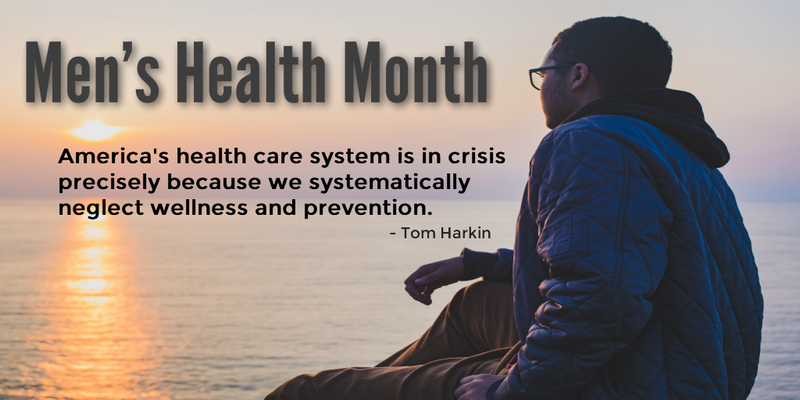 I care, and perhaps, you should too, because it is impacting your health in more than one way. I once was told the reason why there are not as many men's health initiatives as there are for women are for two reasons. One, men don't generally care about their health. And two, there are not enough men in the public health field. ​The former I know very well. There are not a lot of men in the public health field. In fact, I was the only man in the whole health promotion department. ​This time one year ago, I was busy preparing for a men's health workshop. I was working as a health educator for a health organization. The organization I was working for was established over 40 years ago and they have two women's health programs. However, there was nothing specifically for men. Being a man, and considering my position as a health educator, this did not sit well with me, because men's health matter too, right? Little did I know it would pave the way for what I am doing now as a men's health coach. ​The workshop went great, and all that signed up had showed up, which is rear for a men's health workshop. As I mentioned before, one of the reason's there are not many men's health initiatives are because men don't sign up or show up for them. So are we partially to blame for the lack of men's health initiatives? Perhaps some, but that does not mean there should be any, because men's health matter too! The sad part is, men are suffering from chronic diseases that are preventable. It is easy to take a pill to get rid of anxiety or depression, but what is the medication doing to your brain and body? What is the real cost of ill health? Medical care is not getting any cheaper. So, they way I see it is, you are either going to spend the money to take care of your mind, body, and spirit, or your going to let a pill do it for you, which will have other side effects that can make you worse off.